It is now readily accepted that all professionals in whatever field of expertise commit themselves to a Continuing Professional Development (CPD) programme. It is realised in today’s world that people are considered to be more competent through extending their knowledge by following a programme of continuous development, learning and updating. In keeping with this thinking, the Institute follows this course to enable members to be considered and accepted as taking the professional way forward. This will also maintain their standards and competence levels. 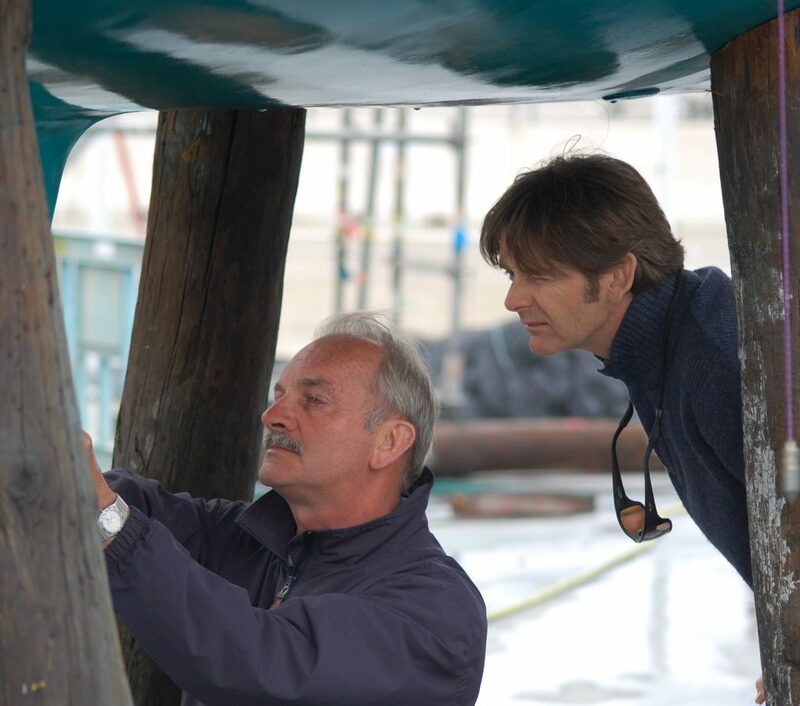 The CPD Programme has been endorsed by the Board of Directors and although not mandatory, is expected for members to maintain their level of membership. The CPD points system has been significantly revised over the years and made easier to accrue the required points. It has also been aligned with other Professional Bodies, Institutes and Learned Societies. Up to date CPD records will be required for all members who are seeking an upgrade of their membership status. From 1 January 2017, major revisions were made to the IIMS CPD scheme. The scheme is now entirely App based, meaning that automation had made the whole CPD process far easier to manage and complete. The App, is free to access or download and works on a smartphone, but there is also an internet based version for use on PC and laptop too. The previous three-year CPD cycle has finished. From 1 January 2017 the IIMS CPD scheme is based on one calendar year, in other words from January to December 2018 and so on. A member’s CPD account has been set to zero and any existing points lost. The aim now is to acquire 10 CPD points in this and subsequent calendar years to keep up to date. The activities for how a member can claim points are slightly amended, but it is the administration of how to do it that alters significantly. NB. There will be members who are semi-retired or retired, who wish to maintain their membership but who are unable to accrue adequate points. Dispensation will be awarded upon submission of a written application. Each application will be reviewed by the Chairman of the Professional Assessment Committee and considered on individual merit. If you have questions about the new CPD scheme, please email David Parsons or email the IIMS Membership Secretary. Each IIMS member has a unique login, the same one used to access their individual membership page on the website. Members will be encouraged to claim points in real time rather than saving up a claim for months. For those who are traditional internet website users and prefer this format, the login panel can be found by clicking here (or use the icon at the top of this page). The claim is submitted. An automatic email goes back to the member to advise them that their points claim has been submitted and will be verified soon. At the same time, an email comes into IIMS advising the team that a member has claimed 5 points for attending the IIMS training day. A member of the IIMS team personally reviews each and every claim before deciding to accept or decline it. If necessary, you must provide supporting evidence via the App to support your claim or it may be declined. For example, let’s say a member attended a boat show (worth one point). The member took a photo of themselves at the event and attached it to the App as proof! Assuming the claim is verified and accepted, an email is automatically sent back to the member to inform them that 5 CPD points have been added to their CPD account and that they now only require 5 more points by 31 December of that year to make their annual quota. Members can check their CPD account themselves to see that the points have been allocated and added successfully. This process repeats each time a member makes a successful CPD points claim, with the number required counting down automatically. There is no limit to the number of points you can successfully claim in a year, but you will only be able to carry a total of 3 CPD points forward to the following year, which the App will automatically do. You will also have a record of all points achieved that you can refer back to at any time. In the event you do not make any CPD points claims during the year, you will be reminded periodically and automatically by email that you have a duty and responsibility to acquire the necessary points by the 31 March latest of the current for the previous year. 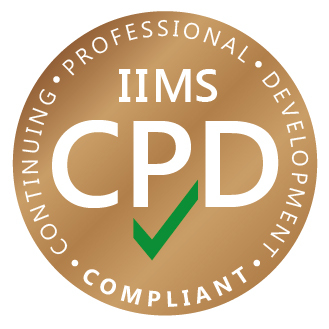 The reward for those who successfully claim their CPD points is a special commissioned CPD Compliant roundel, which will be applied to the IIMS web page listings of those members who qualify. CPD is the responsibility of the Chairman of the IIMS Professional Assessment Committee and his decision on all matters concerning CPD is final.